May is a big month of birthdays in my family. My mother-in-law, father-in-law and husband’s birthdays are all in May. So there’s a lot of cakes to be made. The first is my MIL’s birthday. I wanted to make her a beautiful cake. I bought a new icing comb at the Brooklyn Kitchen and I wanted to test it out. I made a double layer vanilla buttercake with coffee buttercream underneath. 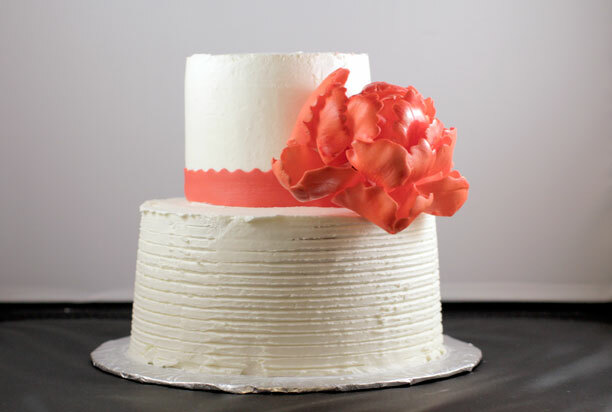 I topped it off with plain white buttercream on top. 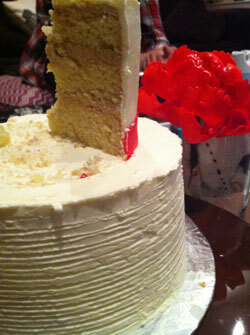 I also made a fondant ribbon around the top layer. 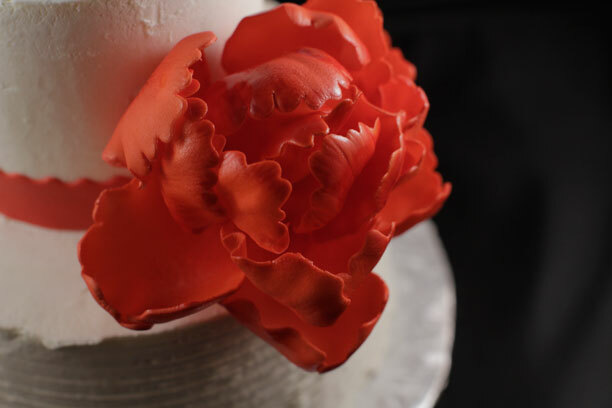 The peony is made from gumpaste on wires. I made it white but then sprayed it red with my airbrush. We only made it through the top part of the cake but my in-laws brought it home with them. Hopefully they had people over to help polish it off.